Pick up your passport, find the “sweet stops” along the trail, get a sticker in your passport and collect your donuts! The Salvation Army will hand out free donuts on Monument Circle in front of Emmis Communications while supplies last. This is a part of the Donut Day broadcast and contest between local donut bakeries. The first 200 visitors to drive through the FC Tucker parking lot, will be given a bag of Taylor’s Donuts. 1,000 customers will receive 1/2 a dozen donut holes at the Indy location and the Fishers location. Dunkin’ Donuts Buy any beverage and get one classic donut free. Free donuts while supplies last. Free donuts holes at both locations while supplies last. The Lebanon location will have a local business scavenger hunt with a free yeast donut as the prize! Papa John’s is using donut day to introduce a new dessert item. On Friday, receive a free order of warm donut holes with any online purchase. Buy one donut, get one free. Looking for more free food? 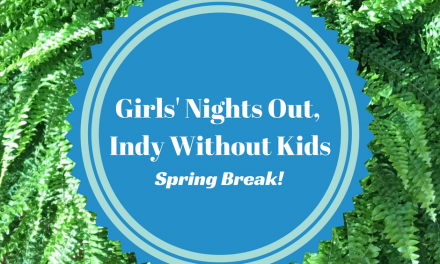 Kids Eat Free at these locations in Indy.